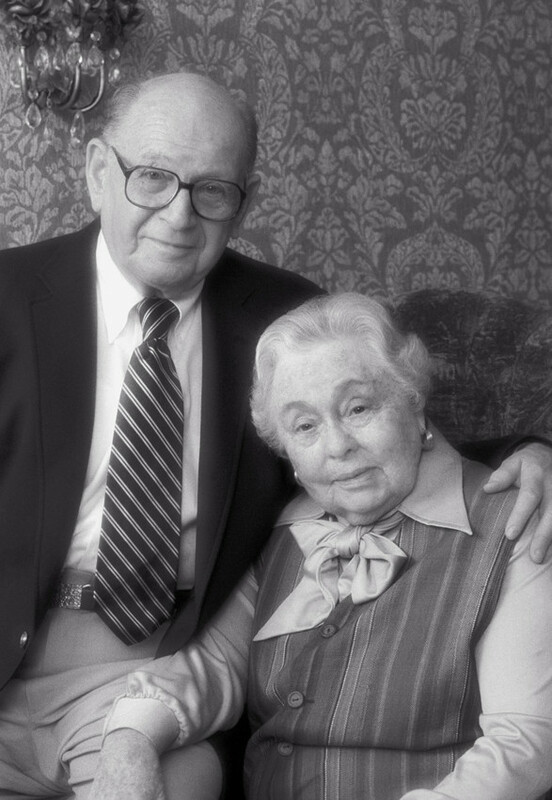 The Rose, Jules R. and Stanford S. Setnor School of Music in the College of Visual and Performing Arts (VPA) will present a concert honoring its late benefactors, Rose ‘33 and Jules R. Setnor ’32 M.D. ’35, on Wednesday, Nov. 6, at 8 p.m. in the Rose and Jules R. Setnor Auditorium, Crouse College. The concert is free and open to the public. The performance will feature Setnor faculty members and students playing the auditorium’s world-famous Holtkamp Organ and Steinway concert grand pianos. The concert will also serve as the kickoff of the Setnor School’s fundraising campaign to become an All-Steinway School—an effort to provide the best piano equipment possible for the study of music. Performers will include Bill DiCosimo, Kathleen Haddock, Amy Giller Heyman, Steven Heyman, Fred Karpoff, Meng Li G’14, Montalbano, Kola Owolabi, Ida Tili-Trebicka and John Wassmuth. Jules Setnor met Rose at a dance on their first night at Syracuse University, and the couple remained together thereafter. Married for 72 years, they shared a lifelong, mutual love of music. In 1997, they donated $3.2 million to the University to name VPA’s School of Music and historic auditorium in Crouse College. The school was also named for Rose’s late brother Stanford ’42, who earned a medical degree from SU. Jules Setnor, who died in December 2012 at age 101, was a practicing physician in Springfield, Mass., for more than 50 years. In 2009, he was among the inaugural recipients of SU’s Orange Circle Award, which recognizes altruistic members of the University community who have done extraordinary things in the service of others. Rose predeceased him in 2005 at age 94.